Getting a diagnosis of a serious illness can be an overwhelming experience. As a patient you are likely to be distracted and miss hearing important information. We prepare and accompany our clients to medical appointments to ensure communication about diagnosis, options, treatment and care plans are understood by the client. From primary care doctor to specialist, from hospitalization to rehab, from rehab to home, we will coordinate your healthcare on all levels so you can transition with ease, understanding and satisfaction. We consult with physicians, nurses, pharmacists, rehabilitation specialists, emotional, social and spiritual support providers to ensure your interdisciplinary teams are working together so you can reach your healthcare goals. Develop a "Person Centered Plan of Care"
We work with clients and families to develop a "Person Centered Plan of Care", which involves active participation from the client and those family members designated by the client to be a participant in the decision making process. By asking questions and gathering input from family and their loved ones, the healthcare provider as well as the entire healthcare team, an effective care plan can be developed, which addresses how the client's needs and healthcare goals can be achieved. The result is an individualized care plan that supports personal life choices. Maintaining communication with clients and loved ones can become difficult especially when the client and loved ones live in different states or locations. For the family and loved ones that our client has given us permission to discuss personal and health information, we will make sure they are updated with the status of our client. Patients can often feel overwhelmed and intimidated by the medical jargon used by their doctors, and therefore become afraid to ask questions. We will explain the medical jargon in terms you can understand so all your questions get asked and answered to your satisfaction. According to the National Institute of Health, "it is believed that preventable medication errors impact more than 7 million patients and cost almost $21 billion annually across all heath care settings". Common causes of medication errors include medications that sound alike and/or have similar spelling, and patient misuse because of a poor understanding of the directions for use of medication. We maintain a current list of all your medications, including prescriptions from your primary care provider, specialists and hospital visit, as well as all over the counter medications. We will bring your updated medication list to all of your doctor appointments to help prevent medication errors from happening to you. Healthcare Proxy's and Advanced Directives allow you to appoint an agent to act on your behalf for medical decision making in the event you lose the ability to make decisions yourself. We will ensure that your medical treatment instructions are carried out, which may be especially important if you and your family disagree about treatment. The right to protected personal and health information, also known as the Health Insurance Portability and Accountability Act (HIPAA) is just one of your rights as a patient. We help you to know ALL your rights as a patient, and will work with you and your healthcare team to make certain your healthcare rights are not violated. 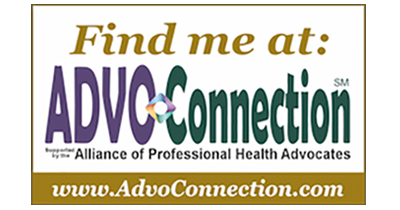 ABC FOR YOUR HEALTH is a privately owned and independent patient advocacy and healthcare liaison firm based in Scituate, Massachusetts. We provide clients and their families with information and guidance needed to navigate the American healthcare system. We work with clients and families as true partners in their own health, empowering the client to become a more confident healthcare consumer. 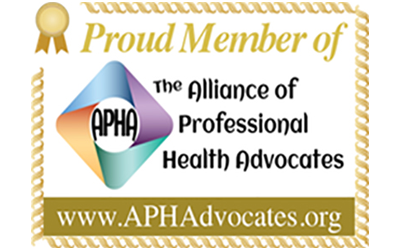 Our experienced personnel holds accreditations in areas of patient advocacy, case management, leadership, and medical administration, in addition to decades of first-hand professional experience in the healthcare industry. Based out of Scituate, Massachusetts, providing services from the Greater Boston area to the South Shore communities of Massachusetts, including Hingham, Cohassett, Scituate, Marshfield, Duxbury, Plymouth, and surrounding towns. ABC FOR YOUR HEALTH, LLC does not provide legal, medical, or financial advice, but works to identify options and resources for their clients.